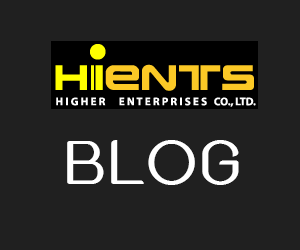 กระดาษทดสอบ Boric acid, borates (Turmeric paper) | Higher Enterprises Co.,Ltd. 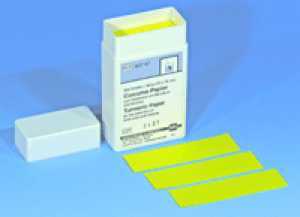 The test paper allows the quick and easy detection of boric acid and borates. It is impregnated with curcumin, the yellow dye extracted from the roots of Curcuma tinctoria (yellow ginger). The paper is dipped into the sample containing hydrochloric acid (pH 1-2). Afterwards it is allowed to dry. In presence of borate the paper turns orange to red. Dipping into conc. sodium hydroxide causes a green-black color. In the absence of borate, sodium hydroxide leads to a brown-red color.